During the first presentation for CinemaCon Day 4, Paramount Pictures rolled out footage from their upcoming movies including Terminator: Dark Fate, directed by Tim Miller (Deadpool) and produced with Skydance. “This is a direct sequel to the movies Jim [Cameron] directed and it’s the opportunity to bring back the original cast,” Miller said, with one of the main differences being that the new Terminator (played by Gabriel Luna) is able to split. 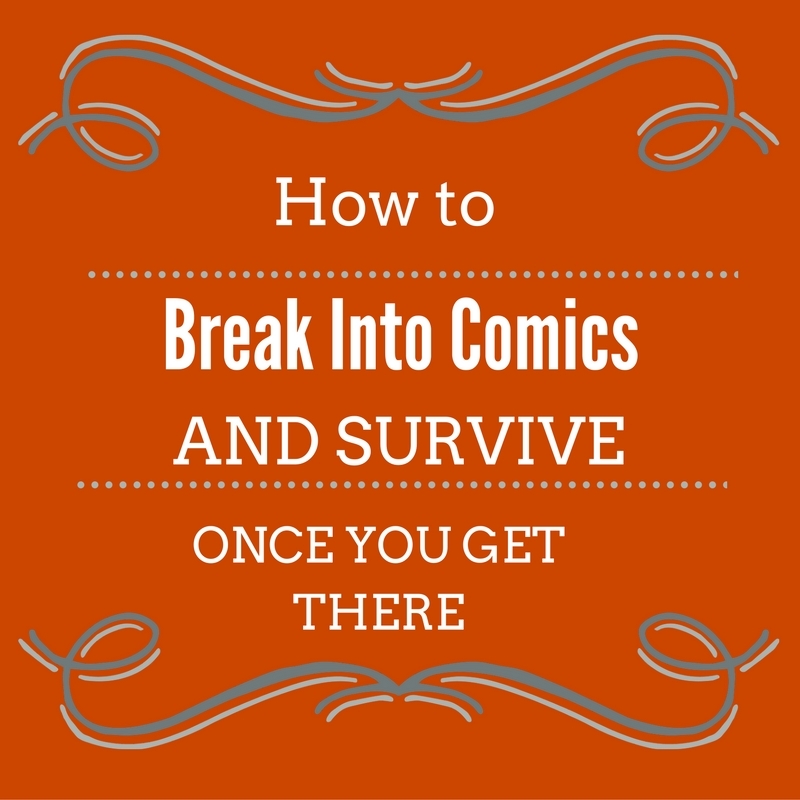 Because I have back-to-back presentations today, I’m just going to jump right into the footage and then add some of the shenanigans with Arnold Schwarzenegger and the cast that took place after the footage a little bit later. The footage begins in Mexico City on a bridge where we see the road begin to transform with lightning flashes and a familiar ball of energy that appears in the middle of the bridge. With a flash, we then see a naked woman’s body come crashing to the ground underneath the bridge. A young couple making out nearby see the flash and the woman falling and they go to investigate. She seems dead but they lift her up and carry her away – most of the dialogue in this scene, as might be expected, is in Spanish. Then the Mexican police arrive and they ask the young couple what drugs they gave to the naked woman, but they don’t believe their response. One of the cops jokes, “I love it when it rains naked ladies” and then goes over to apprehend the naked woman, which we know by now is Mackenzie Davis’s Grace. We then see her viewpoint via the Terminator computer visuals of which we’re so familiar, so we know that she’s at least part Terminator. She grabs the officer’s billy club and hits him with it and proceeds to kick the crap out of all the officers, taking them out fairly effortlessly. Grace then looks over at the young woman who found but ignores her, and when her boyfriend comes over, he’s really excited. “That was amazing, man. Thanks, lady… You just saved our asses!” and Grace walks over to them and says “Don’t thank me yet.” And we next see her wearing his clothes and driving off in his car. The next clip begins with black ooze on a different bridge, turning into Luna’s new Terminator as he comes after Grace and Natalia Reyes’s Dani Ramos on another bridge, but there’s another more traditional robotic Terminator after them as well. As they close in, a jeep races over and hits the mechanical Terminator. Out comes Linda Hamilton’s Sarah Conner wielding a shotgun, and she starts shooting at the other Terminator who goes over the side of the bridge. “What a f*cking badass,” Miller said and then got teary-eyed again before bringing out some of the cast — Reyes, Luna, Davis, Hamilton, and Arnold Schwarzenegger (not on a motorcycle this time). Schwarzenegger joked that this was a fundraiser for his next political campaign, but he was happy that the original team was back together again, giving praise to the three new actors and the amazing action they take part in. 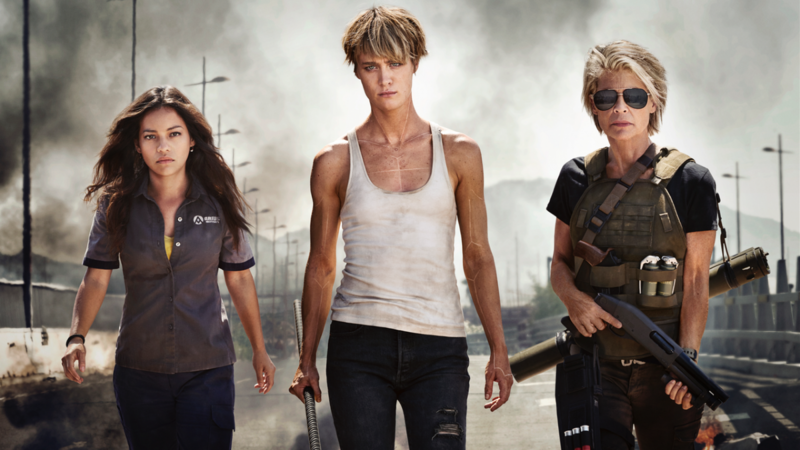 Earlier today, Paramount also released some new pictures from Terminator: Dark Fate, which you can see below. The movie is scheduled to come out on November 1. Check back soon for some more fun quotes from Schwarzenegger and the cast on-hand, who will be receiving the CinemaCon Ensemble Award later today.